You can do many things if you visit Sant Joan for a weekend, so we also recommend you the heritage routes we have designed for you, itineraries in which you can get to know our town, in addition to be near the sea, the singularity of the Horta and the capital, Alacant. If you have decided to spend three days with us you have an interesting and varied tourist offer adaptable to your needs. 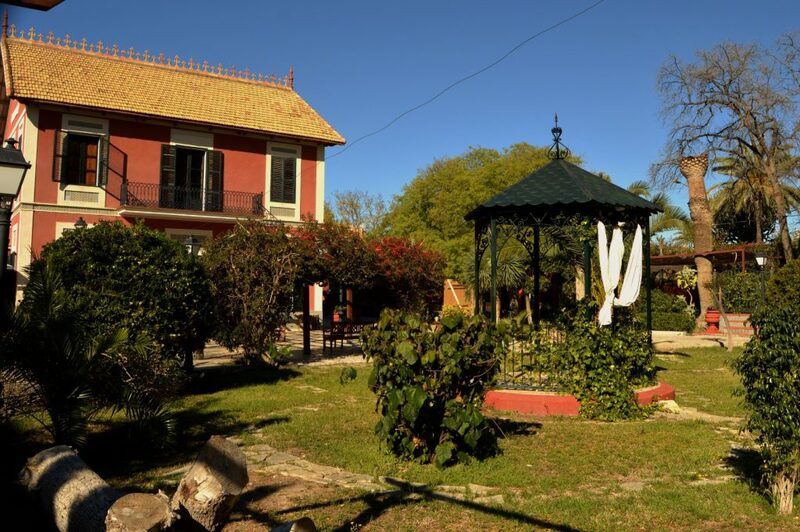 If you want to stay in a central place in town, we recommend you the Villa de San Juan Hotel ***, located in the Plaza de la Constitución, in the middle of the shopping area, and close to the bus stop line 23 and taxi stop. It is also located five minutes walk from the old town, and five minutes by car from San Juan beach. If you want to stay in the outskirts we recommend you to stay in a typical manor house built in the seventeenth or eighteenth centuries in the Huerta, the Torre de San Juan Hotel ***, near the Benimagrell’s little houses and the sea. Another option is the Abril Hotel***, located in the N-332 very close to its service area, and halfway between Sant Joan, El Campello and the beach. We can also stay at the Santa Faz Hotel***, located in the same place, next to the bus stop, a few minutes from the centre of Sant Joan. 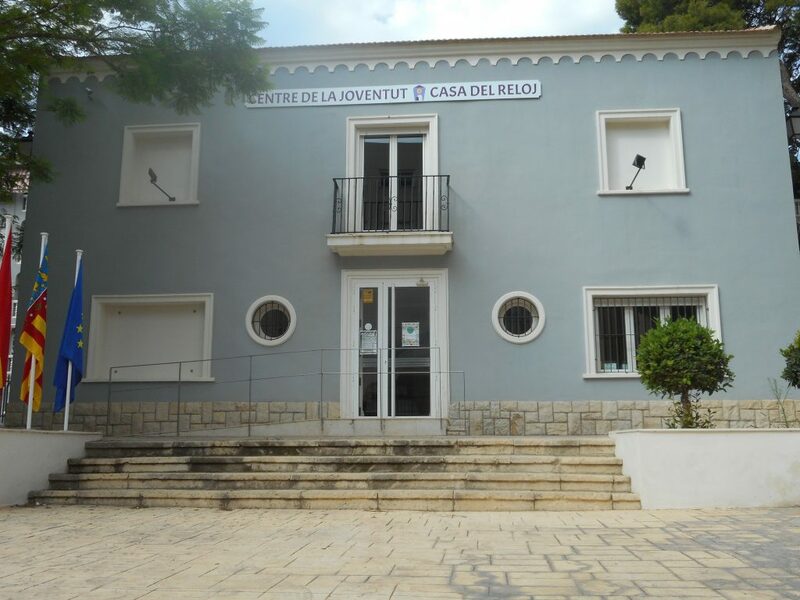 Another interesting possibility is the San Juan Complex Group PSN, located very close to the Municipal Park, and close to Benimagrell and the commercial area of the centre of Sant Joan. If you are looking for cheaper options, you can stay in the Monreal or Colón pensions, both located in the town centre and very well communicated. If you want to stay in a campsite, we offer you the possibility to stay in Bon Sol or El Jardín, both located near the beach, in a well connected, rustic and quiet environment. Our municipality also has a canine residence and parks for pets so you can bring them with you. When visiting our town, we also recommend doing it with your own vehicle or by bicycle, because it will give you much more mobility. To connect with neighbouring towns you can do it by public transport.  Sant Joan has the bus line 23 that connects Sant Joan, Mutxamel, Santa Faz and Alicante and, recently, a new connection has been established with the neighbouring town of Sant Vicent del Raspeig and its university with the line 38. To visit the beach we can use the line 23 and once we arrive in Alicante the line 22 . To visit El Campello, we would take the bus line 23, and once in Alicante, the line 21. In the summer months (June to September) there are also special lines 30P and 31 that connect Sant Joan with the beach. You can do many things in Sant Joan for three days. The first day we recommend you a breakfast in the Robenove coffee shop, which has typical handmade products. From there you can visit the San Juan Bautista Parish Church (17th-19th century), where the Santísimo Cristo de la Paz Baroque chapel stands out. From there you can take the Camí de Lloixa, a medieval road, to approach to Santa Faz. You can do it by car, bike or foot, always depending on the time you have. After leaving La Concepción and Manzaneta Gardens and passing by the defence tower of Bonanza, you can divert towards Salafranca to visit the tower (16th century) and the Santa Ana hermitage(17th century). Mount Calvary is nearby, crowned by its hermitage (18th century), from which you can see interesting views of the Horta d’Alacant. Returning to camino de Lloixa, you will reach Santa Faz, where you will find one of the most important relics of the passion of Christ. The district still retains its traditional flavour and the monastery (17th-18th century) houses the locker room where the Santa Faz (Holy Face) is kept. It is a journey back in time to the seventeenth century. After that you can have an aperitif or a coffee at the Santa Faz Hotel. On Saturdays morning you can not miss the street market (clothing, footwear, accessories, decoration, food, local products of the Orchard, etc.) that takes place in Sant Joan, around the Mercado de Abastos (provisions market). Having lunch at the market canteen is a good option. That day Sant Joan is a beehive of bustle and atmosphere. There is not better time to get closer to the down town shopping area. You can also go shopping in the shops down tonwn, or have a snack in the numerous bars in the surrounding area. Some Saturdays you can also enjoy concerts of ‘Música a la plaça’ (music in the square), in any of the town’s squares. In the afternoon, we suggest you to visit the city of Alacant, closely linked to Sant Joan. In the city, it is essential that you visit the Santa Bárbara Castle, a medieval fortress founded by the Muslims on Mount Benacantil – next to the Postiguet beach and the harbour – which was remodelled in the Modern and Contemporary Ages, and from which you can see some interesting views of the Mediterranean Sea and the port of the capital. Afterwards, we invite you to visit the old town, where the Basilica of Santa María (15th-18th centuries) is highly recommended, from which you can see a fantastic view of the face of the Moor of the Benacantil, or the Concatedral de San Nicolas (17th-18th centuries). To complete the visit to the city, we recommend a walk through the Explanada de España which pavement is remarkable. It is made of cream and red colours, Alicante stones, Black Calatorao and Zaragoza stones. It was built in the mid-twentieth century with millions of tiles with undulating decoration. When you return to Sant Joan, you can enjoy one of the cultural activities of the House of Culture. Every week, the theatre, dance or music, have an appointment in Sant Joan. After dinner the wide range of pubs will allow you to choose where you want to go. If you fancy a Chill Out atmosphere we recommend Black Coffee. Another option is to visit Irish pubs: St. John or St. Patricks. If you like jazz, you should definitely visit El Refugio. If, on the other hand, you are a rock lover, a good choice will be El Euterpe. And if you fancy dancing or an atmosphere with more commercial music, you can go to the Danzáa Club or the Coimbra Pub. To start the day we recommend you to have a good breakfast at the Xixona Ice Cream Shop, which sells typical handmade products in the centre of the Rambla. On Saturdays, do not forget to visit the Municipal Market. The street market in which you can find a variety of products (clothes, shoes, accessories, decoration, food, local products of the Orchard, etc.) is organized around it. Having lunch at the market canteen is a good option. You can also go shopping in the shops of the town centre or have a snack in the surrounding bars. For lunch we recommend you to go to the restaurant Villa Antonia, located in a traditional manor house of the nineteenth century, specialized in Mediterranean cuisine. Another option is visiting the Attica restaurant next to the Municipal Park. In the afternoon, we suggest you to visit the city of Alacant, closely linked to Sant Joan. In the city, it is essential that you visit the Santa Bárbara Castle, a medieval fortress founded by the Muslims on Mount Benacantil – next to the Postiguet beach and the harbour – which was remodelled in the Modern and Contemporary Ages, and from which you can see some interesting views of the Mediterranean Sea and the port of the capital. Afterwards, we invite you to visit the old town, where the Basilica of Santa María (15th-18th centuries) or the Concatedral de San Nicolas (17th-18th centuries) are highly recommended. 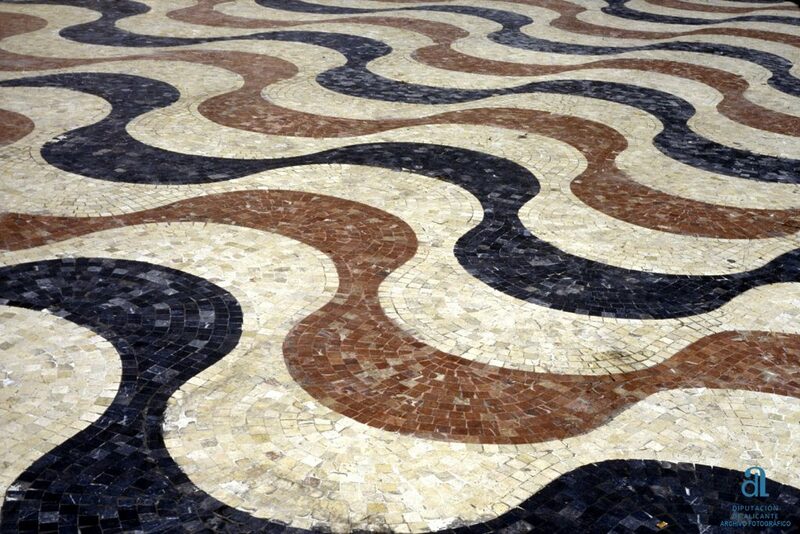 To complete the visit to the city, we recommend a stroll around La Explanada which tiled pavement with undulating decoration is remarkable, and have a drink to enjoy the evening atmosphere of the city the recently known as “tardeo”. 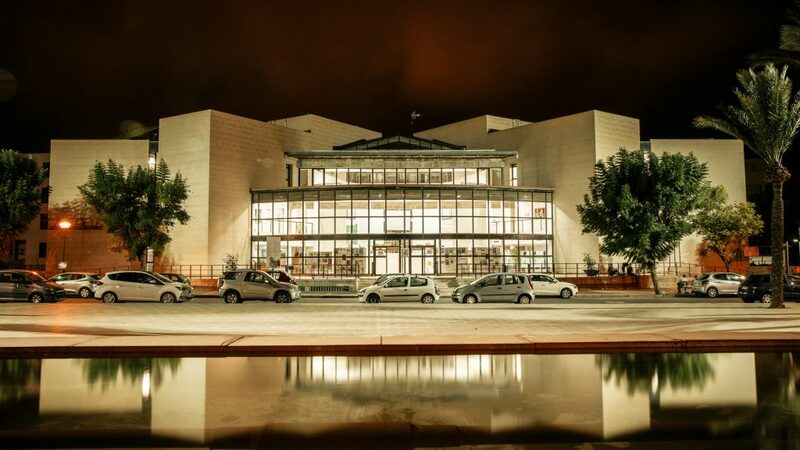 Once you are back in Sant Joan again you can enjoy the cultural offer of the House of Culture, where music and art meet. For dinner, an interesting option is the Pizzeria Duetto, located on Avenida de la Rambla, where we can especially enjoy Galician and Italian cuisine. Another option may be the restaurant Sis Cuines. Then, as the previous day, we invite you to enjoy the variety of entertainment in the pubs of Sant Joan. We encourage you to have breakfast at Churrería San Juan. Afterwards, you can go to Benimagrell – the village of Muslim origin – that has preserved its original layout. Once there we suggest you go to the traditional bakeries (the Forn de Gines and the Horno Antiguo) that make one of the most appreciated breads in the region of l’Alacantí, and where many locals come to buy bread from these workers every weekend. 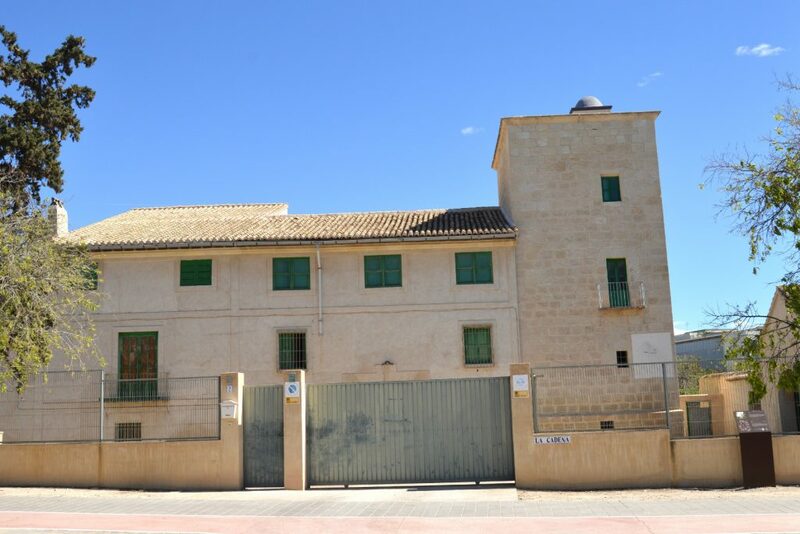 We also recommend that you walk down the street, where the finca Villa Ramona (built before the 19th century) is located, and visit the late-Gothic San Roque hermitage (16th century). On Sundays you can also go to the Mercadillo de Artesanía y Alimentos (Handicraft and Food Market). Then we suggest you to approach the Assut de Sant Joan (16th to 18th century) in the bed of Seco river, an imposing building of ashlar, which served to divert part of the water from the Tibi Reservoir to Sant Joan through the irrigation canal Gualero that irrigated the whole Horta in this area. From there you can return to Mutxamel, the neighbouring town of the interior that shares being the heart of the Horta with Sant Joan. Of this population we emphasize the traditional district of the Ravalet, the Montserrat hermitage and boulevard, the Peñacerrada Palace and the Gardens (18th century). It is also advisable to visit the Parish Church (16th-18th centuries), which includes the defensive tower (16th century) and the Virgen de Loreto chapel. After this, we go back to Sant Joan, where the second Sunday of each month you can enjoy the Arrels craft market of agricultural and organic products. This is also a good opportunity for you to have a snack in the bars in la Rambla, enjoying the great variety of restaurants. At lunchtime, a very interesting option is the restaurant Mi Casa, specialized in rice dishes, in the direction to the beach, the restaurant La Dehesa del Mazo, specialized in Castilian cuisine, or Marc & Bo, a restaurant specialized in Italian and Mediterranean cuisine, that even has a terrace. 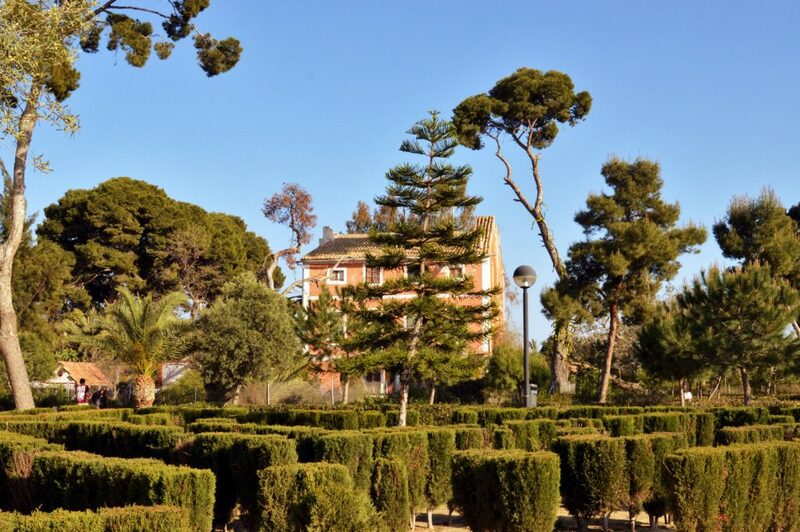 After the siesta (nap), we suggest to take the path of the Torres de l’Horta by bicycle through the Condomina, a very pleasant plain route that is easily done in two hours, departing from the Torre de la Cadena on Avenida Pintor Pérezgil, near the San Juan Hospital. You deserve a dinner after cycling in any of the bars or restaurants of the town centre. Then, having a good drink in one of our pubs to end the day is never bad, as you begin to plan your next visit with us.